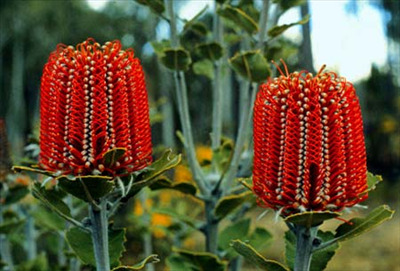 Outstanding ornamental banksia with bright red flowers in winter-summer. 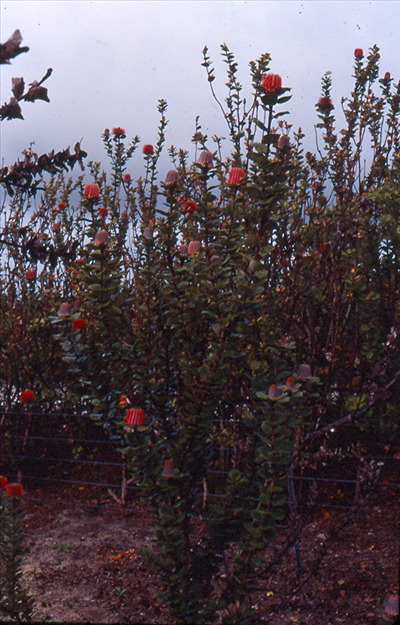 Hardy to frost and drought once established. Prefers well-drained soils in full sun or partial shade. Various forms available, we grow them especially for the cut flower growers. Sometimes difficult to get them to flower but they should flower 4-5 years from seed. Prune for a bushier shrub and more flowers. 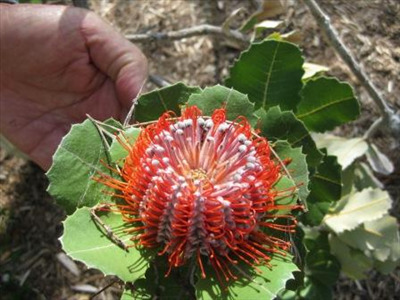 Grows naturally around Albany south-west of Perth.